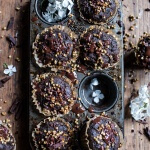 Double Chocolate Irish Tea Infused Oat Muffins. We are just twenty days away from the start of spring, and well… I could not be more excited! Bring on the longer days (daylight savings starts Sunday March 13! ), flowers (love) and warmer temps (love equally!). Clearly I am so ready!! I know I just talked about the Irish yesterday, but I couldn’t resist posting these muffins today. I mean, to me, March is all about the Irish! I think it’s completely lame that Easter is kind of stealing the spotlight this year (I am also aware that I have mentioned this 3 days in a row), but as my mom keeps telling me, “nothing we can do about it… get over it!”. 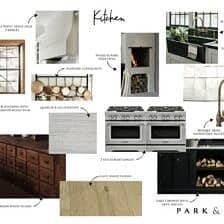 I have a crazy busy week this week, as I am trying to catch up (what’s new) and even get slightly ahead, since I am heading to Chicago on Saturday for a work trip through Monday. It’s going to be fun though because I am bringing my mom along! I can’t even remember the last time we traveled somewhere just the two of us. It’s been a while, but I am excited. A little work, a little play, right?!? I will only be there a very short time and most of my time is already planned out, but I have to ask, what must I see, do and eat?? I’ve never been to Chicago, so you guys have to help me out!! Give me your must eat at restaurants, must see places and must go to shops!! 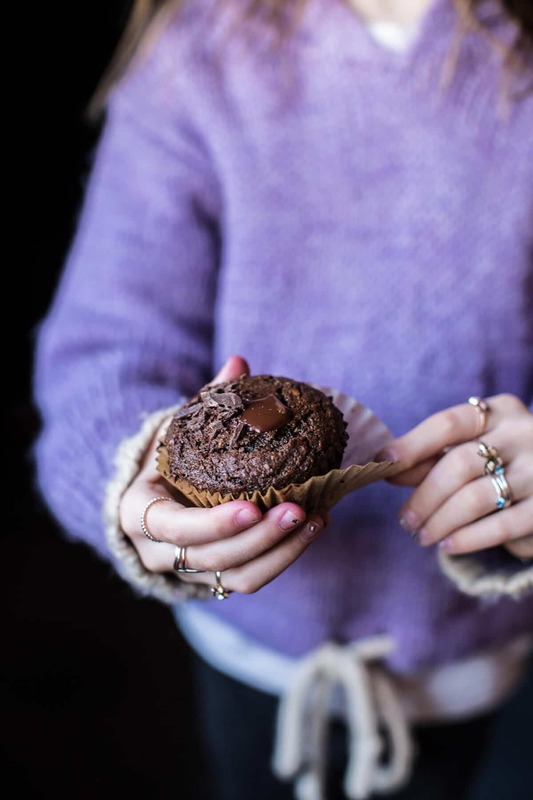 OKay, so let me tell you about these Double Chocolate Irish Tea Infused Oat Muffins. For one, they are completely delicious and totally healthy for us. I filled them up with ingredients like rye flour, oats, super dark chocolate, maple syrup for sweetness and protein rich eggs. 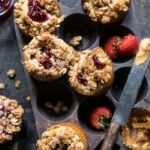 Even though these muffins look completely decadent, they’re actually the perfect on-the-go breakfast or healthy snack. I like to eat them warmed with a small pat of a butter and a drizzle of honey. Since I used a super dark chocolate (mine was 92% cacao), I really like the sweetness a drizzle of honey adds. 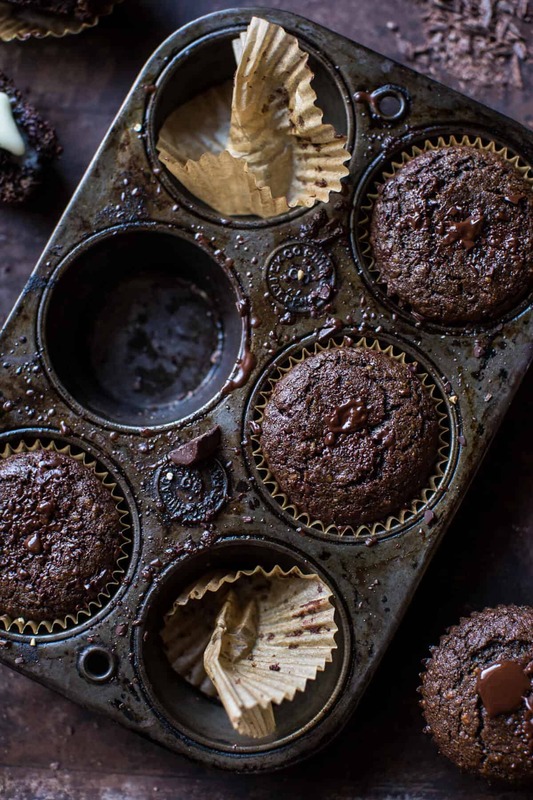 These muffins are also really great because they come together so fast, which means… when that chocolate craving hits, they can be yours in just about thirty minutes… YESSS. When you picture these muffins, picture this: super moist, loaded with deep, dark, melted chocolate, sweetened with maple, hints of dark Irish tea, slightly chewy from the oats, hearty from the rye flour (I used my favorite Bob’s Red Mill Irish style Steel Cut Oats and Rye Flour) and soo dang perfect warm right out of the oven. Honestly, it’s all your Tuesday NEEDS. They are completely delicious and totally healthy for us. I filled them up with ingredients like rye flour, oats, super dark chocolate, maple syrup for sweetness and protein rich eggs. Preheat oven to 350 degrees F. Line 15-18 muffin tins with paper liners. In a small saucepan, bring the coconut milk to a gentle simmer. Add the tea bags (or loose leaf tea) and steep for about 10 minutes. Do not allow the milk to boil. Meanwhile, add 3/4 cup of the steel cut oats to a blender or coffee grinder and blend until a flour forms. It's OK if the flour is not completely smooth. Add the remaining 1/4 cup steel cut oats and the oat flour to a bowl. Add the rye flour, cocoa or cacao powder, baking powder, baking soda and salt. Whisk to combine. Once the milk has steeped and cooks slightly whisk in the eggs, vanilla, maple syrup and oil. Add the wet ingredients to the dry and stir until just combined. Fold in the chopped chocolate. Divide the batter among 15-18 muffins cups. Bake for 15-20 minutes or until a toothpick inserted into the middle comes out clean. Allow the muffins to cool slightly and then drizzle with honey and serve with butter if desired. *Muffin base adapted from [Green Kitchen Stories | http://www.greenkitchenstories.com/double-chocolate-rye-muffins/]. 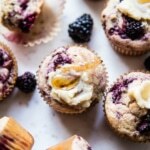 Blackberry Swirl Muffins with Honey Butter. 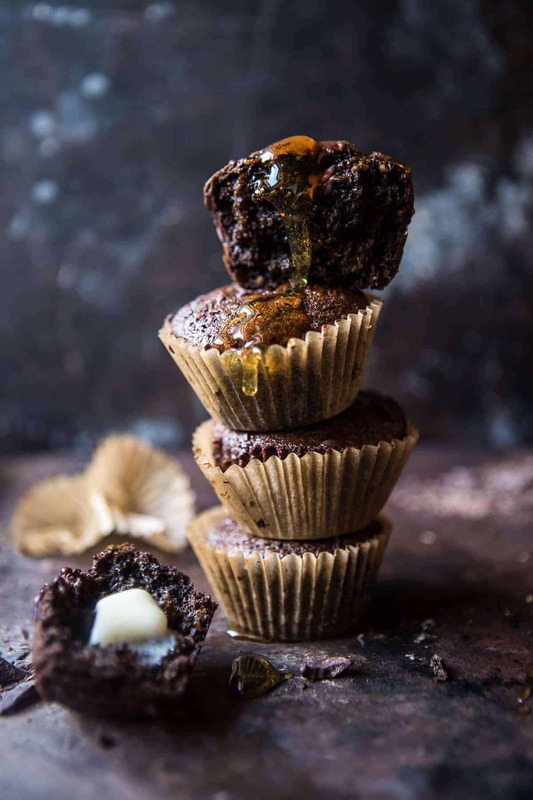 Double Chocolate Coconut oil Zucchini Muffins with Caramelized Buckwheat. Mmmm the way you describe these is just too good! I can imagine they’re the perfect breakfast because chocolate. I’m sure the oats are lovely in there too! 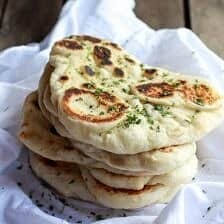 These look great – what’s the Irish connection do you have Irish family? St Patrick’s Day is just a day to get drunk in the UK really and it’s a Thursday this year…so I won’t be drinking much Guinness. Check out Second City Improv for a great show and the area of town is fun. Andersonville has Polish bakeries so yummy and my friend’s daughter runs Hewn Bakery in Evanston which is just amazing and adorable (google it) it’s an L ride as far north as one can go but it’s doable. Great tea at Rare Tea Celler. People like Chicago style pizza but I think my husband’s version is better. Have fun Tieghan! Yessss please! Coconut milk and cocoa powder sound like the best breakfast! Oh. . .you lucky lady. Chicago is such a great city and I am so jelly that you are going. Back during our pre-Africa days we used to make monthly visits there and as a bonus I used to travel there quite a bit on business. 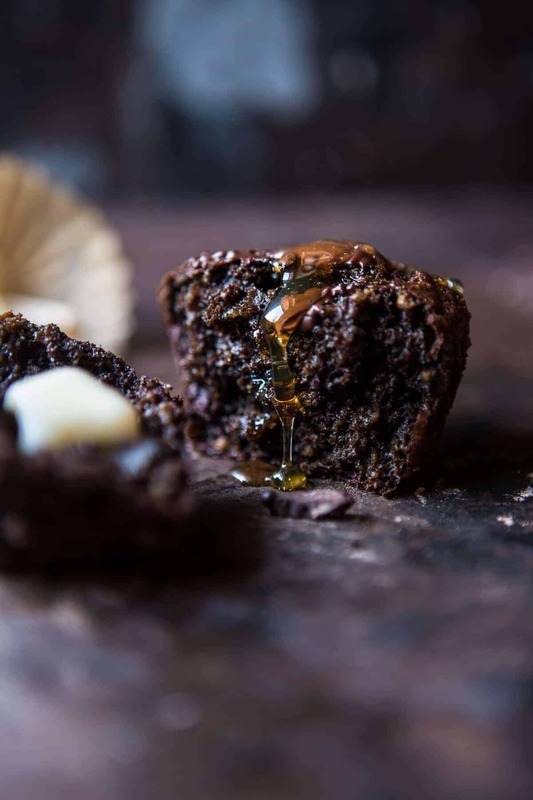 With so much to do there. . .you’ll need these divine muffins to help keep your energy levels up as you try to cram activities in between business. Btw. . .the light on the top photo is scrumptious. If the weather is nice, do the architectural boat tour. Grab a lunch before hand to eat on the boat. If you want delicious cupcakes, check out Molly’s Cupcakes or Sweet Mandy B’s. And the best Chicago-style pizza is at Pequod’s – they caramelize the crust. Have fun! Stop by Eataly on Ohio Street. It is a food lover’s dream formed by Mario and Lydia. It has restaurants, coffee shop, cheese shop desserts, cookbooks, kitchen toys and of course wonderful Italian products. I had to ship home when I went last summer. Would love to have one in Denver. Stunning! 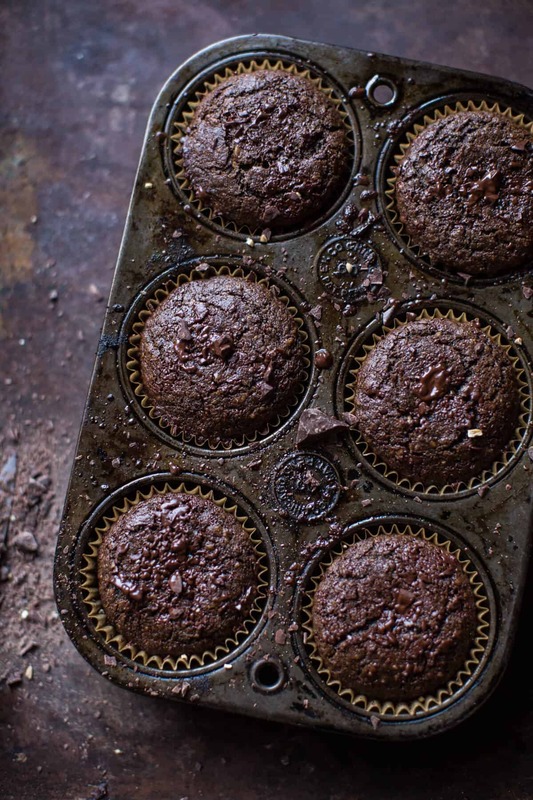 These muffins look like pure decadence. I love the high quality and wholesome ingredients. 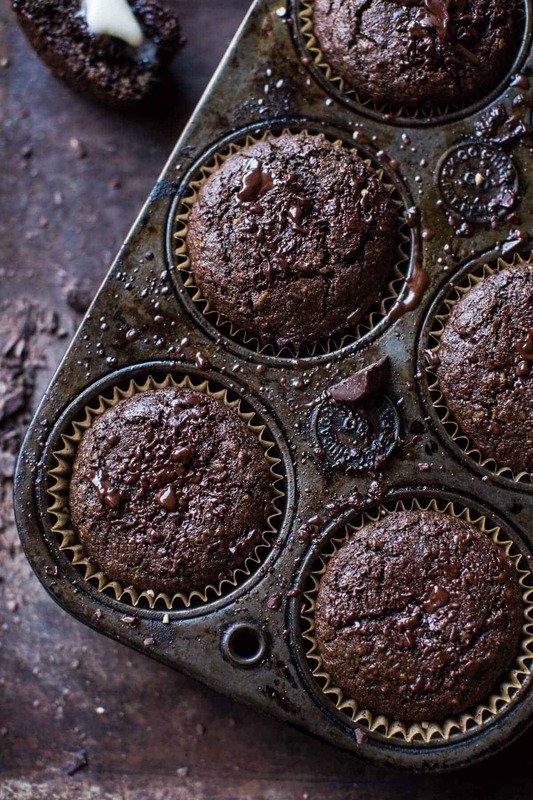 Chocolate muffins you can feel great about! Best Chicago stuffed pizza is at Art of Pizza, in this unsuspecting looking little strip mall thing! As for breakfast, someone recommended the Bongo Room, which rocks! Also Orange–they do Kona coffee with dried orange peel. Amazing! Welcome to our city, hope you have an awesome time here! Heads up: when I try to look at recipes on the mobile site, it redirects me to an advertisement instead! You absolutely need to try deep dish/Chicago style pizza! Chicago is one of my favorite places…luckily, I am a short road trip away, but for you, with limited time…oh that will be tough! If the weather is nice, try to take an architectural boat ride. Walking the Magnificent Mile is a great way to experience the city (and shop a bit), formerly Sears Tower (now Willis Tower) is a GREAT view (tallest building in America) and right now there is a VanGogh exhibit that you can only see at the Chicago Art Institute!!! With such a large city (and surrounding area), the food is so hard to pin down…some of the best food I’ve had has been due to wandering into a little spot (and then promptly forgetting its name for later). 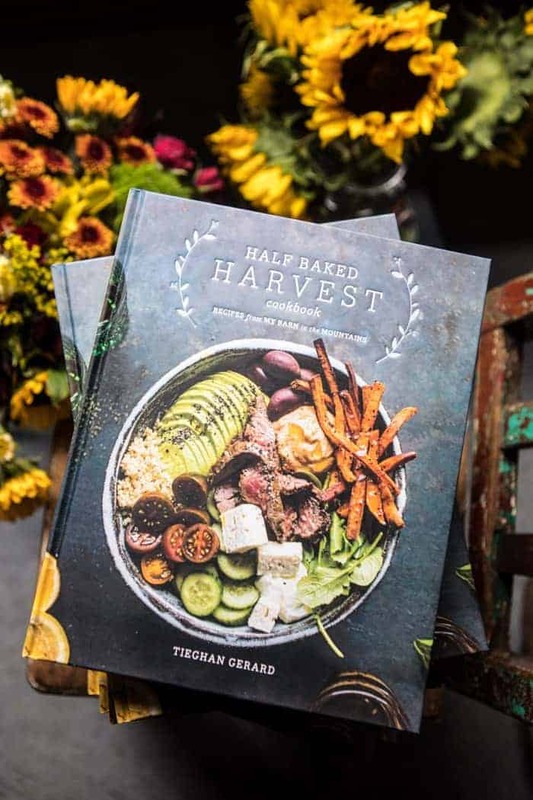 I do know that Girl and the Goat is incredible (and a big culinary sensation), but you MUST go to Eataly – you MUST! Chicago style pizza (stay away from chains like Pizzaria Uno) or a Chicago style dog from a vendor should be on your to-do list, too. 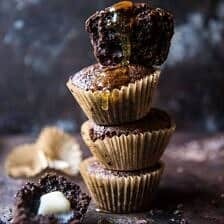 These muffins look heavenly! Chicago is one of my favourite cities to visit. If you and your mom are looking for a great breakfast place, try Lou Mitchell’s. They have amazing food! For authentic Chicago style deep dish, try Giordanos Pizza! Enjoy and have a safe trip! I love everything about these muffins!!! And beautiful photos as usual! I live in Chicago and my love of food and dining out runs deep. There are so many wonderful places to eat, but here are a few of my faves… breakfast/brunch/donuts: Boho House, Kanela Breakfast Club, Do Rite Donuts. lunch/sandwiches: Eataly, Au Cheval or Small Cheval (the wait will be shorter! ), Publican Quality Meats. dinner: Vincent, Bavette’s, the Dawson. drinks: the Betty, Green River, Taverna 750. Also, there in a Van Gogh exhibit at the Art Institute right now – have so much fun! I cannot wait to hear your favorite places! Oh my gosh these look so yummy!! Happy March to ya too! And all I can say about this muffins is yum!!! 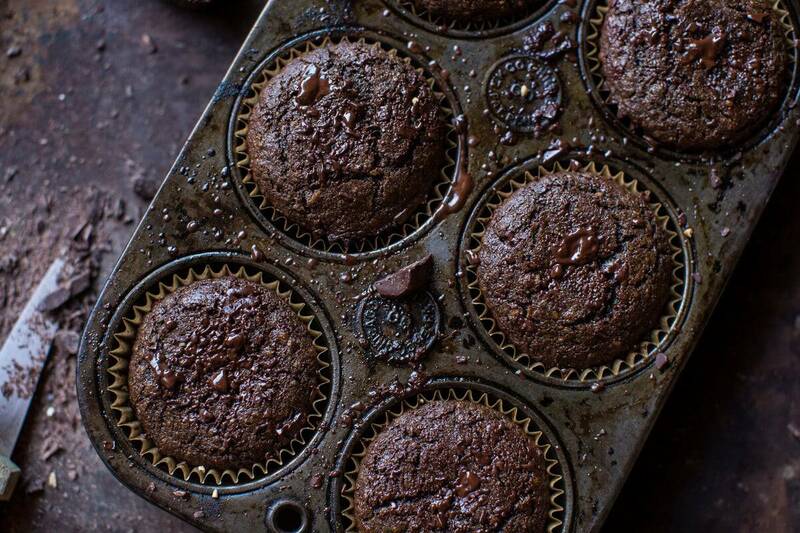 Chocolate muffins > chocolate cupcakes in my book. Can you send some of these to Texas while you’re at it? I visited Chicago last summer for a couple of days. If you get the chance, check out the Maxwell Street Market & the Art Institute of Chicago, wander around the Magnificent Mile & try the Little Goat Diner!!! 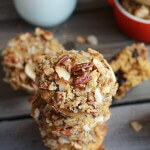 What a decadent breakfast treat! I know my family would enjoy these! The trip with your Mom will be great, Chicago is such a fun travel spot! Yay Chicago! I am so jealous. I lived there for 3 years, and it is still one of my favorite places! Definitely DEFINITELY go to Eataly, if you have the time. It’s like a giant Italian food court/gourmet food store/mall/heaven. It’s the greatest and you can pick up some really amazing ingredients there! ALSO, go to Cheesie’s. It is a whole restaurant, all grilled cheese and it is ridiculous. So so good. I hope you have the best trip, can’t wait to hear where you end up going! I am so excited for the longer days!! I want to still be able to do things in the sun until 9! Sounds like a luxury right now! 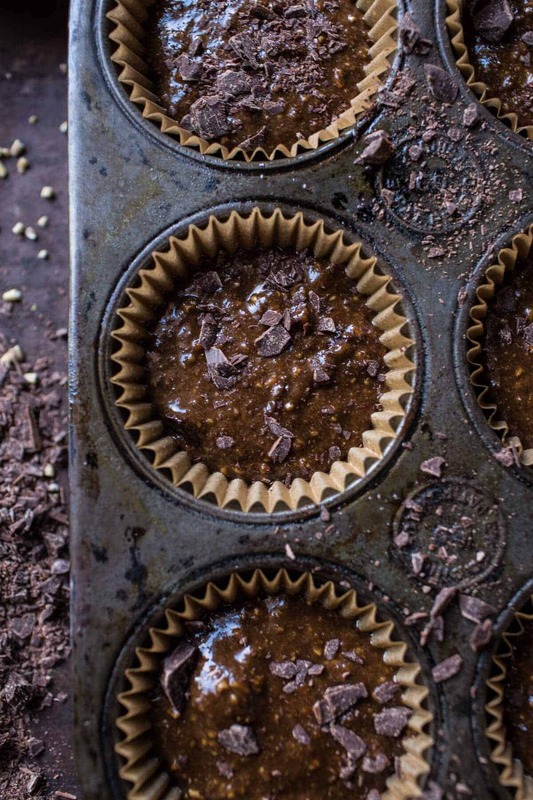 And I am also so excited to make these MUFFINS! 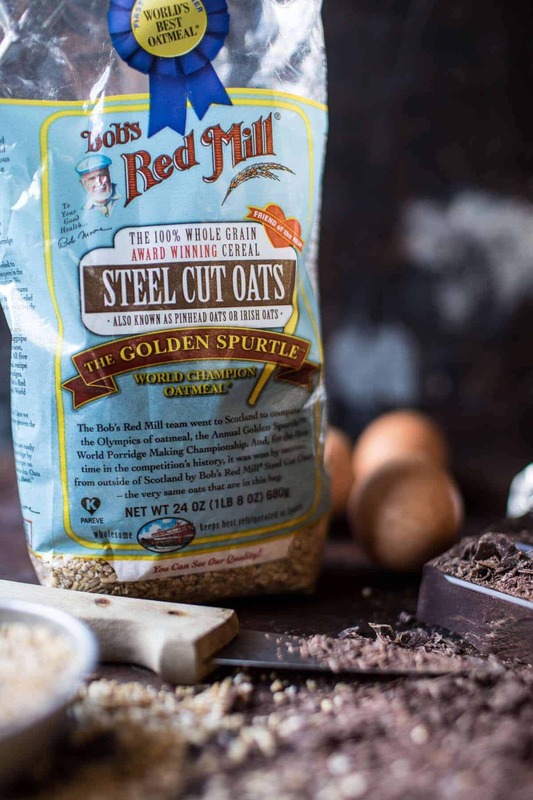 Tea infused oats with chocolate!? Must be ammaazzinngg! Can you really taste the tea flavor? These look delicious!!! Can I substitute rye flour with whole wheat flour? Your gonna be in Chicago?! Got a few minutes for a meet up? 😉 but for reals. I echo what everyone else said about the art institute. I saw the van gough exhibit when I was 11 and remember it to this day as the first time I really fell in love with art culture. Also, I can’t believe no one has mentioned this. But you MUST get to Garretts popcorn. The line is huge but so worth it. Get the Chicago mix, caramel and cheese popcorn mixed. It. Is. Bonkers. I think I would love to eat these muffins for breakfast. A little bit of healthy and a little bit of indulgence. The best way to start a morning! I am totally a dream farm/lots of land kinda gal, but if I had to love a big city, it would be Chicago. I have been several times with work and the two places I hit up to eat are Giordano’s for deep dish pizza and Quartino for the best italian tapas ever (I cannot express the magnificence of the buttery, melt in your mouth aged prosciutto. Phenomenal!). I hope you have a blast! Chef Rick Bayle’s Topolobambo restaurant is amazing! Agree you must get Chicago style popcorn yum! Hugo Frogs sells great martinis! Hello, dream muffins! Double chocolate is so my kind of thing :). Have a great time in Chicago! I can’t. I don’t even know what else to say – besides the fact that I want this in my face hole right now!!! I’m on this no-refined-sugar challenge for 2 months sooooo do these muffins count? I have so much rye flour in my pantry; I can’t wait to use it for these muffins! Chicago native here! So exciting you’ll be making your first trip here! There is no shortage of things to do, places to see and of course food to eat. First of all if you want to see the city from a different perspective take a stroll on the river walk its got fantastic views! Randolph Street is the restaurant hub. All within close proximity you have an endless variety of options and cuisine. 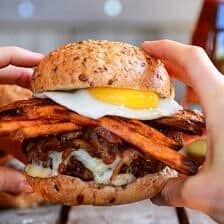 Places high on my list are: The Girl and The Goat ( for something totally unexpected and mind-blowing), Grange Hall Burger Bar( don’t forget a milkshake! ), PQM ( if they have the gyro GET IT! ), Gratizianos Deli ( best cannolis…which says a lot coming from an Italian girl), La Colombe Coffee, Intelligentsia Coffee, Glazed and Infused Donuts ( insert heart-eyed emoji). And if nothing else I beg of you please please please go to one of Rick Bayless restaurants, Frontera and Topolobampo are incredible but extremely difficult to get into unless you have reservations a million years in advance. So I recommend going to his more casual spot XOCO, trust me you will not be disappointed with a Torta from here. On Saturdays the special is Goat Barbacoa… oh myyy! And don’t forget the Churros! The house made chocolate sauce and cinnamon soft serve are the bomb. Hope you have a fun weekend!! Yay for oats and chocolate! I love that you infused tea to make them extra flavorful and delicious! Your food photography is simply STUNNING. Wish I could learn some tips from you!! These looks incredible. THANKS!!! Let me know if you get a chance to make it!! Can’t wait to try these. I love oats. Thanks Peyton! Hope you love the muffins! I’d like to try these but don’t want 15-18 muffins. 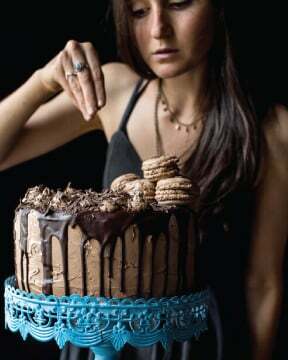 Can this recipe be halved? Yes, this recipe can easily be cut in half. Let me know if you have questions. Hope you love the muffins! 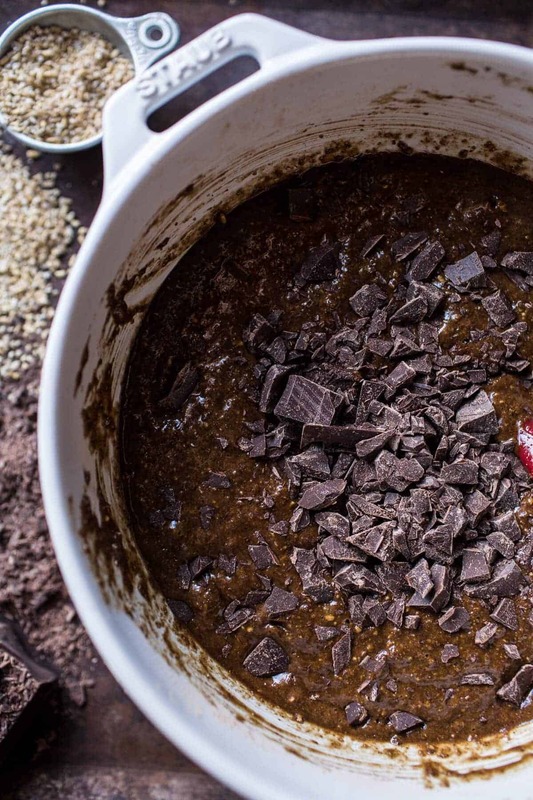 Does it matter if I use dutch processed cocoa instead of natural cocoa? HI Dutch processor will work great for these muffins!! Hope you love them and let me know if you have questions, thanks!! Chocolate infused chocolate tea double oatmeal cookies perfect for eating with friends at endless work meetings this is perfect for the range strip up to stress. Sounds like an awesome place to enjoy these! Thank you Liliane! These turned out very well! I love that they have a slight hint on sweetness and are not dessert level sugary. Perfect for breakfast or late afternoon coffee on a snow day like today! Thank you! I am so glad you enjoyed these!